Written to be an everyday tool for salespeople and managers, it's more than just a book: It's a powerful tool kit weaponized for facilitating immediate increases in profitable sales. Clients across North America are using this book in sections to develop their sales force into productive selling machines. It's not a one-and-done read, but a working tool kit. 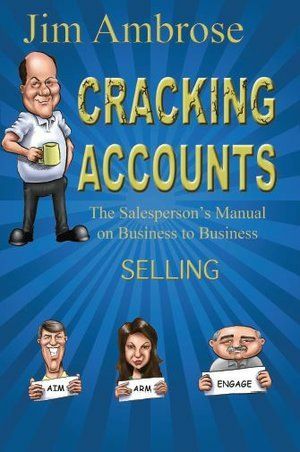 It is recommended to buy one for every salesperson and sales manager, and use it in conjunction with the Cracking Accounts virtual workshop, which can be found in the "Courses" section. The course highlights the most potent strategies discussed in the book, and brings to bear the full strength of the techniques in a real world application. Use the contact form above to discuss placing an order with Jim! This practical, no-nonsense book references concepts found in marketing, organization behavior, managerial finance, sales management, and leadership development. 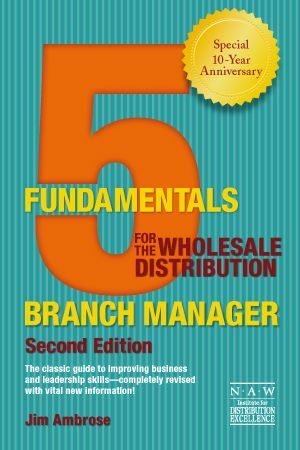 It applies them directly to managing a wholesale distribution business. It incorporates a heads-up view of the issues and challenges faced every day in the business, and provides specific tools for the whole distribution manager to become a successful leader, therefore increasing profit margin.